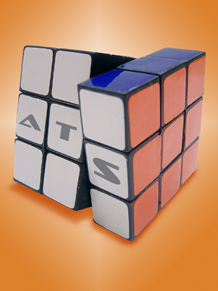 Add capabilities to your tester with off-the-shelf, fully integrated building blocks. Tester resources modules are individual plug-in components that expand and reconfigure hardware test capabilities. Examples might be a GPIB controlled voltmeter, a 1,000 volt current/voltage source, or an arbitrary waveform generator. Additional digital pin cards can increase digital channels to several hundred channels while increasing pattern memory depth to millions of vectors. In order to fully test a new device type, test resources can be added to a current tester. Do you need to create a new test program, manufacture a fixture or convert a test from one platform to another? ATS can help. And, if it’s a rush job, we want to get behind you and be part of the solution. High priority, rush situations come up unexpectedly. Often you’ll need a turnkey solution ASAP if not sooner. When delivery is critical and there’s no room for slippage ATS can handle it. We’ll make it happen and deliver your solution on time and within budget. Our solution will encompass all the hardware, software and documentation required for your final signoff. Our systems experience and our in-depth knowledge moves your project forward smoothly and quickly. We’re the experts and we know our test systems inside and out. Increase your cross platform options. Let us move your current test program from whatever other tester you might have to the STS. We can do the full conversion, a portion of the project, provide assistance or train your staff in the process. How can you add a new capability without buying a whole new test system? Simple. Tell us what you want and we’ll figure out how to make it happen. We’ll design the hardware, integrate it into the software and create the api. Our open source test head and software driver allows you to create your own tester resources at the fraction of the cost of a new tester. Move savings to the bottom line by cutting the cost of test. The bigger picture might be more subtle. For example slicing a fraction off the cost of one of your high running parts may win that huge customer contract. Shorter test times and increased production will make your company more competitive in the real world AND improve your bottom line.